Apple has its online music streaming service - Apple Music, and Amazon has its own online music streaming service - Amazon Music unlimited. Generally speaking, if you have most Apple products, you will choose Apple Music, or else you will choose other corresponding music streaming service. First, let's know what is Amazon Echo. 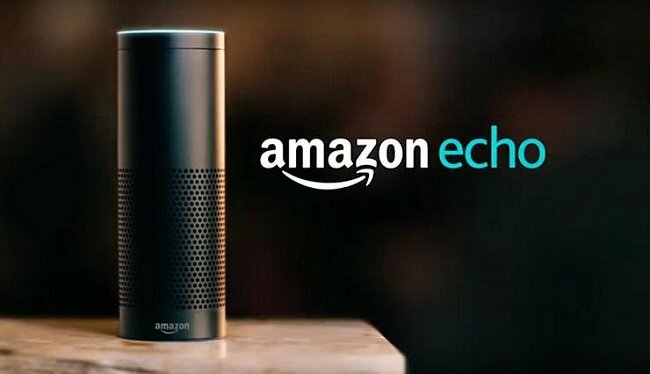 Amazon Echo (shortened and referred to as Echo) is a brand of smart speakers developed by Amazon.com. The devices connect to the voice-controlled intelligent personal assistant service Alexa, which responds to the name "Alexa". This "wake word" can be changed by the user to "Amazon", "Echo" or "Computer". The device is capable of voice interaction, music playback, making to-do lists, setting alarms, streaming podcasts, playing audiobooks, and providing weather, traffic and other real-time information. It can also control several smart devices using itself as a home automation hub. Generally speaking, if users want to use Alexa voice control to control Amazon Echo to play Apple Music, this is impossible and unrealizable, you know that Apple Music is not the built-in App of Amazon Echo. If you want to play Apple Music on Amazon Echo with your iPhone or other device which supports Apple Music App, just follow the Method 1. Or else, if you want to upload Apple Music to Amazon so as to use lexa voice control to play the music files, follow the Method 2. Yes, this method is very simple, what you need is just one setting steps. However this needs your devices which supports Apple Music playing working as well. In the next example, we take iPhone setting as an example. Click Settings icon > tap on Bluetooth. Then you will see Amazon Echo device after searching and just pair it with iPhone. Similarly, you can't upload these downloaded Apple Music songs to Amazon as well. If you can remove the annoying DRM, and then you can upload them to Amazon without limitation any longer. Macsome iTunes Converter is the tool which you are looking for. It supports an ideal solution for converting protected iTunes Audio files, including downloaded Apple Music files, and purchased music and Audiobooks from Audible.com and so on. First of all, free download the Apple Music files you want. Open your iTunes, and find your whole Apple Music category. And then select the Apple Music files, click "..." to add them to "Playlist". After this, you can choose the Playlist and click the cloud icon to download it to play offline. 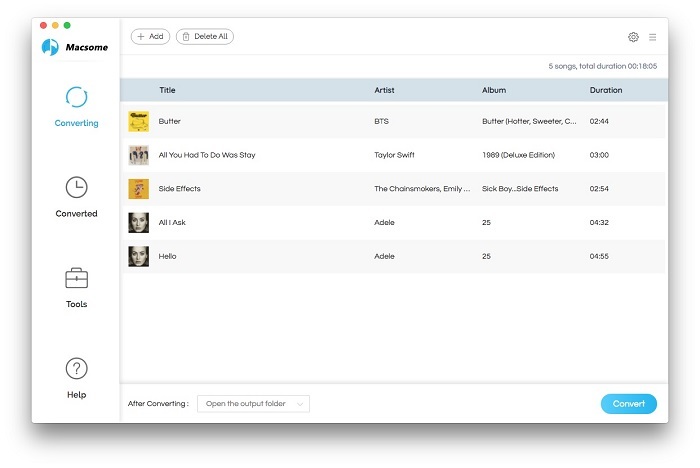 Second, free download the latest version of Macsome Apple Music Converter, install and run it. Third, when you click "+" button, all the music files including the downloaded Apple Music files will be listed, now select them and click "OK", and all the music files has been added. Batch conversion is also supported. Forth, after you add these music files, now you can click the setting icon to set the output format and output folder. Here are MP3, AAC, FLAC, WAV for kinds of users. Fifth, you can click "CONVERT" button and start conversion. After the conversion, you can upload the converted Apple Music songs to My Music on Amazon from your computer. And then you can control the music playing via your Alexa device. Amazon.inc supports free users up to 250 songs storage to My Music. Now Run Amazon Music app on your PC or Mac and log in your ID, then drag and drop files from your computer into the Upload selection in the right sidebar under Actions. And then Select My Music > Songs > choose Offline filter in the right navigation sidebar and click the upload icon to choose the converted Apple Music files or folder to upload. And now you can start uploading. After the above steps, you can use Alexa to play these songs on your Amazon Echo and so on.